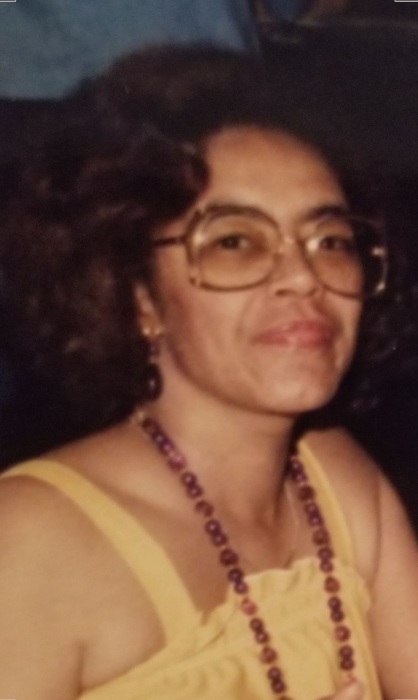 Gloria Bonay Smith, affectionately known as “Cutup,” of Providence, Rhode Island, passed away peacefully on Tuesday, September 11, 2018, at Hallworth House surrounded by her loving family. She was a beautiful spirit, as warm and comforting as the sunshine she loved, as well as a tenacious fighter who fought a lengthy battle with cancer. She was the daughter of the late Allan and Sarah Hamlin Bonay, the wife of the late Edward Lee Smith Sr., and sister of the late Blanche “Tillie” Taylor. She was a loving wife, mother, sister, relative and good friend. She leaves to mourn her children: Romona Lisa Phillip and husband Stan, Robin Smith, Leslie Smith Laughlin and husband Paul, Edward Smith Jr. and wife Dawn, Edward Anthony Cooley and wife Nurys. She is also survived by her two sisters Allene R. Maynard and husband Richard and Claire L. Lunsford and husband Eugene all of Providence; her grandchildren: Dajuana, Jovan, Serena, Ashley, Elise, Alexander, Paul Jr., Isaiah, Devin and Olivia as well as a host of great grandchildren. Visitation Sunday from 5 pm – 8 pm in the Russell J. Boyle & Son Funeral Home, 331 Smith Street, Providence. Funeral Monday beginning at 11 am followed by a chapel service at 11:30 am. Burial will follow in the historic Swan Point Cemetery, 585 Blackstone Blvd., in Providence.